We completed the maintenance today. We apologize that we have closed zidaiya.com temporarily. 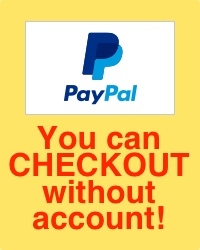 Today, this site completed the maintenance of order to respond to security enhancement of PayPal. We wish it that you will order the items in this site in the near future. We moved one Kutani Porcelain. We moved "Set of three bowl with design of ten poets, Kutani Porcelain" on page of [Owner's Collection]. We posted "Small square bowl with design of phoenix and arabesque flower, Blue Kakiemon Style, Old Imari Porcelain" on the page of [Owner's Collection]. We added new item in the [Pick Up Items]. We added "Owner's Collection" in the [Pick Up Items]. We posted "Small plate with design of chrysanthemum, Blue Nabeshima Style, Old Imari Porcelain" on page of [Old Imari Porcelain] > [The Latter of Edo Period]. We updated [Shop Owner's Profile]. 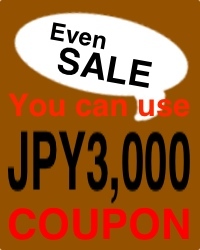 We added the qualification of The Urasenke in [Shop Owner's Profile]. We held SECRET SALE 2013 today! We will hold special sale. Please purchase at this opportunity. *It's FREE. Sign up now. To purchasers who clicked "Like!" In the Facebook page. *Only for real name registration. Monthly period will be posted on the Blog / Twitter / Facebook page. 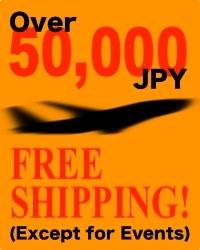 Thank you for visiting to zidaiya.com always. Our site will celebrate the 10th anniversary of the opening on June 6, 2013. We appreciate the everyone who visited to the last 10 years. And we will hold special sale. We held AUTUMN SALE 2012 today!